Also known as a consultant or freelancer, an independent contractor is a business or individual that is typically self-employed and provides a product or service for a customer in exchange for monetary compensation. What is an Independent Contractor Agreement? 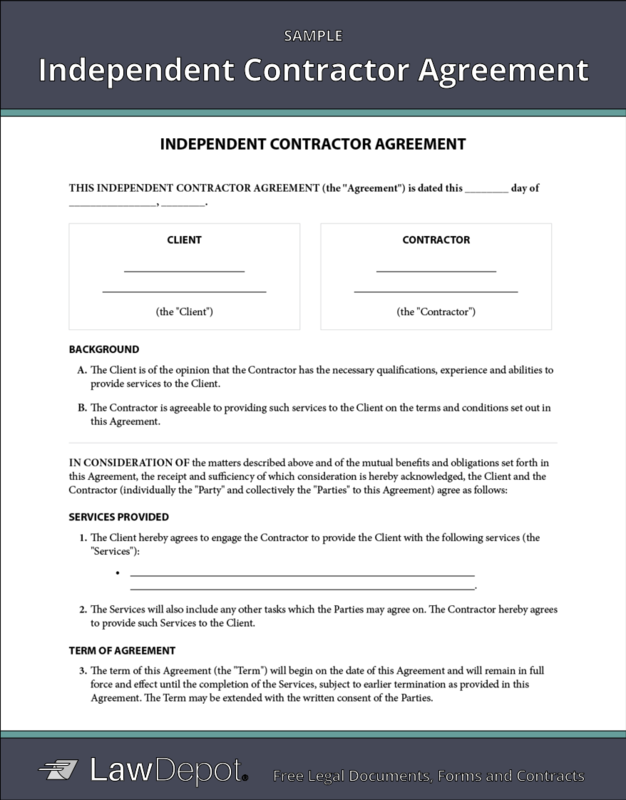 Who can use an Independent Contractor Agreement? Contractors, freelancers, or consultants who wish to have a written agreement with their client can create an Independent Contractor Agreement. Likewise, customers, clients, or businesses who hire contractors and wish to outline the service arrangement through a written contract. What is the difference between an independent contractor and an employee? While there are many ways to distinguish an employee from a contractor, here are some of the most common ways an employer (or client) can differentiate between the two types of workers. Why should businesses classify workers properly? Keeping track of who is an employee and who is a contractor ensures a business is in a position to file taxes properly and comply with employment law. Employers must pay a portion of payroll taxes on employees, whereas independent contractors conduct their own personal tax filings. What happens when employees are misclassified as independent contractors? The U.S. Department of Labor (DOL) and the Internal Revenue Service (IRS) conduct regular company audits with the goal of finding employees who have been misclassified as contractors. The consequences for such misclassifications can range in severity depending on whether or not the misclassification is intentional, unintentional, or fraudulent. The IRS might also impose additional fines and penalties if they suspect fraud or intentional employee misclassification. How do I protect the company's confidential information when working with a contractor? Confidentiality is a concern for customers who may be entrusting private or sensitive information to an independent contractor who has been hired to carry out a service for the company. In a contractor agreement, you can include terms to prevent a freelancer from divulging information about your business. There are also terms about non-solicitation and non-competition in the event there are conflicts of interest in the industry or a risk of competition. It should be noted that if the contractor fails to comply with these terms, it would put them in breach of the contract. Who owns the intellectual property created by an independent contractor? Under U.S. copyright law the initial owner of the copyright in a "work for hire" is the person commissioning the work and not the person who actually created the work. Section 101 of the Copyright Act defines a "work for hire" to include work by employees in the course of employment, including creative work developed by an independent contractor in certain circumstances like a translation, a contribution to a collective work, and more. Alternatively, this contractor agreement can be tailored so the contractor retains complete ownership of the intellectual property but gives the company license to use the material. 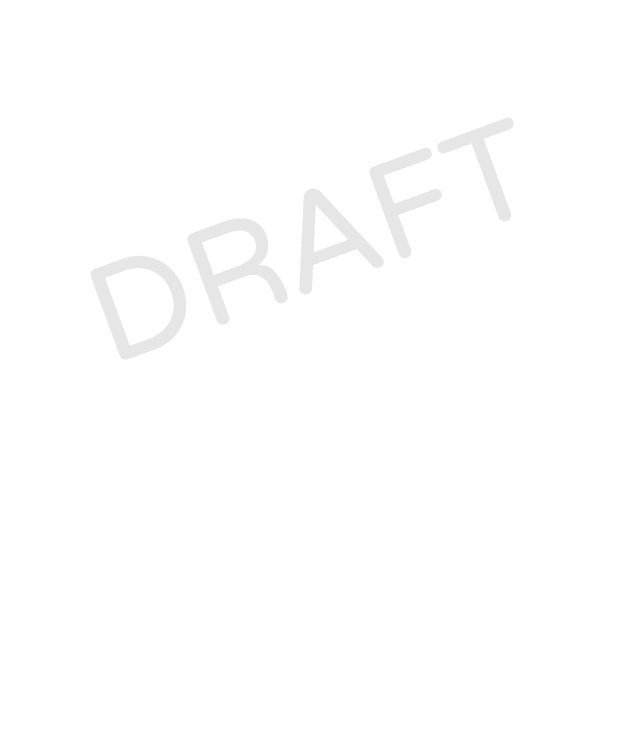 Personalize your Independent Contractor Agreement template.